Homeowners may be surprised at the still low mortgage rates available today. If you’re in the market for a new home, you’re timing could not be more perfect. 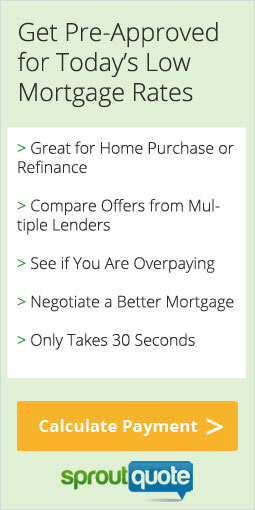 What’s more, with all the online resources available, from real estate sites to mortgage shopping and comparison sites, you can know when you’ve found a great deal and are financing the purchase with the best rate. Quick Tip! Mortgage rates are closely tied to the Fed’s action and the economy. Act now while rates are still near historic lows and avoid a potential rate hike. Since rates are at all time lows, you may be tempted by Adjustable Rate Mortgage (ARMs). However, unless you’re sure you’ll be in your new home for less than 5 years, it’s best to look at fixed-rate options. Ideally, you want a 15-Year Fixed rate mortgage, as these will have the lowest rates and you’ll be minimizing the outlay of interest expense you’ll be paying the bank. However, if a 15-Year rate makes your monthly payment too high, the tried and true standard 30-Year Fixed rate is never a bad option. How do I know I’m getting a low rate? The trick to finding the lowest rate is to utilize online sites that help you compare available mortgage rates, allowing you to choose the best lender. SproutQuote.com is one of the country’s largest and most respected comparison websites. The good news is that our services are completely FREE to homeowners. There’s no obligation to homeowners, and we offer easy and fast comparisons. It takes less than 30 seconds to start receiving rate quotes from lenders.